As part of Leicestershire County Council's money saving measures, they have switched off certain street lights between midnight and 5am across the whole of the county. Please visit the Leicestershire County Council website for full details. Map of part-night street lights within Huncote parish, showing the lights owned by Leicestershire County Council and showing which are full-night lights and which are part-night lights. 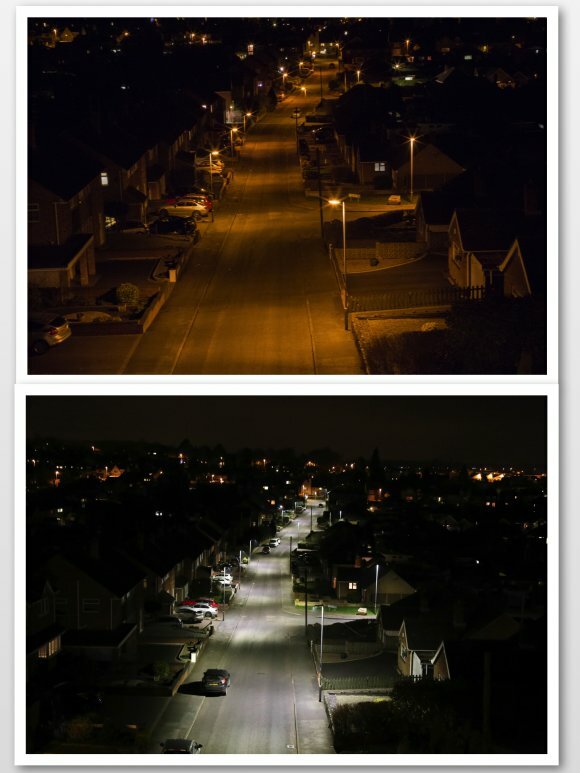 In 2010, Leicestershire County Council committed to a reduction in energy costs and reducing the county's environmental impact, agreeing to change all the street lights across the county to new LED lights before the end of March 2019. Further details of the scheme can be found on the county council website. Details from Leicestershire County Council.